Lumbar foraminal stenosis is the most commonly theorized cause of sciatica, regardless of the process which may be narrowing the neuroforaminal spaces in the lower back. Neuroforaminal stenosis describes a reduction in the size and patency of the openings through which the lumbar nerve roots exit the spinal canal. It should be understood that this is a completely normal and expected event in the lower back as a person ages. It should also be noted that mild to moderate foraminal stenosis is unlikely to result in any pain or neurological consequences whatsoever. This article will clarify the lumbar neuroforaminal stenosis diagnosis. We will look at why and how stenosis occurs in the lower regions of the spine, as well as the reasons why so many diagnosed cases are inaccurately identified as being symptom generators. Herniated discs are the single most common cited cause of foraminal narrowing. It should be known that a disc would have to virtually block out the entire space, under pressure, in order to cause a symptomatic expression. Degenerative disc disease is rarely a direct cause, but is certainly a contributor to foraminal narrowing. 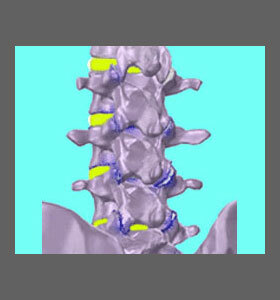 As the discs get thinner and smaller, the vertebrae come closer together, thereby reducing the foraminal openings. Osteoarthritis is virtually universal in the mid to lower lumbar level in people past the age of 40. Arthritic debris and osteophytes can reduce the patency of the foramen. This is one of the most accurately diagnosed forms of actual symptomatic stenosis. Lumbar spinal curvatures, such as scoliosis and hyperlordosis, can minimize the size of the foramen on one or both sides of the spine, usually over multiple levels. Lumbar spondylolisthesis can cause a severe reduction in foramen patency, particularly in grade 3 and 4 cases. Sure, it is normal for the neuroforamen to suffer a reduction in size as a person ages. The incidence of disc and bone pathologies in the lumbar spine will further increase the likelihood for moderate to severe forms of foraminal stenosis. However, it must be clear that the exiting nerve roots only require a small amount of space in order to successfully egress from the spinal canal. This means that the entire foramen would usually need to be sealed off in order to elicit a true pinched nerve. This drastic event is the exception, not the rule. 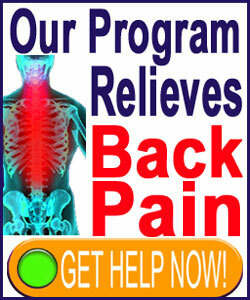 Furthermore, it must be mentioned that the spinal cord does not exist in the middle to lumbar spine. Instead, the cauda equina nerve roots have already separated off and continue their progression, en masse, until they exit through their respective foraminal openings. This suggests that the nerve roots can be compressed or chemically irritated within the central canal space or the lateral recess. In essence, what this means is that although a single nerve root may be affected, the source process may not be coincidental lumbar foraminal stenosis. Instead, it may be central spinal stenosis or lateral stenosis from the same or a completely different causative condition. Always be sure to seek neurological evaluation for any suspected nerve pain syndrome. If foraminal stenosis is the working diagnostic verdict, then stack the odds in your favor. Insist on nerve conduction testing and make sure the suspected cause fits the symptomatic profile and correlates to the evidence provided on imaging reports. We have said it many times before, but it is always important to stress one simple truth for new readers: Pinched nerves are one of the most misdiagnosed of all back, neck and sciatica causes. This is a fact. Remember, that many other explanations might exist for an apparent pinched nerve syndrome, with the foraminal stenosis being completely innocent of eliciting any of the expression at all. The good news is that when the diagnosis of foraminal stenosis is correct, targeted treatment is likely to be successful. For some types of foraminal narrowing, spinal decompression may be used to avoid invasive care practices. However, in other scenarios, the patient might have to risk undergoing foraminal stenosis surgery to achieve positive curative results.